Since its introduction in 2006, our Hellraiser series has raised the bar on sight, sound, quality and affordability. Loaded with active EMG 81TW/89R pickups. Crunchy, sizzling, rockin humbucker tone. Great for edgy, distorted rhythm playing, where you really need to hear the pick attack on the low strings. The Washburn GCJDLX Hardshell Case is designed for use with Deluxe Jumbo Acoustic Guitars. 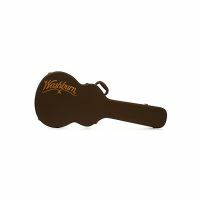 Keep your hard-earned acoustic guitar safe with the Washburn Mini Jumbo Deluxe hardshell guitar case. Specifically built for Washburn Mini Jumbo acoustic guitars, this case cradles your guitar in a plush lining. The Classic Stack Plus bridge pickup looks and sounds like a true Stratocaster single coil but none of the traditional Strat hum. 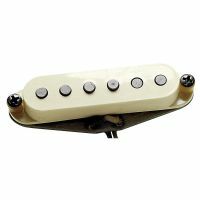 It has all of the sparkle and chime that you would expect from a vintage Strat pickup. The Washburn BC80 case is made to fit perfectly the B9 Banjo. Each hardshell case is constructed of plywood, covered with vinyl and adorned with the Washburn logo. The Seymour Duncan Antiquity II Surf for Strat would be equally comfortable in the smoky clubs of Chicago's West Side as hanging ten at the Malibu Pier. Seymour Duncan Basslines APB-2 Lightnin' Rods active 4-string pickup for P-Bass. Designed to meet the needs of today's modern bassist who insists on an authentic, "original" look. 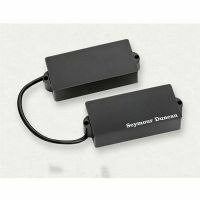 Seymour Duncan Basslines APB-1 Pro Active pickup for P Bass®. The Pro Active pickup system is designed to provide the cleanest possible signal with expanded headroom and dynamic range.